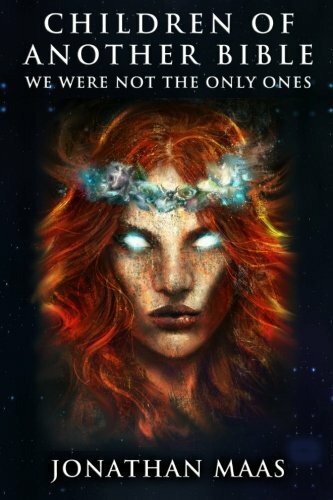 In “Children of Another Bible: We Were Not the Only Ones,” Jonathan Maas introduces readers to three different narrators in three different eras, all connected through the mystery of the angel Kulkuz. The premise itself is a fascinating one. The first third of the novel follows a modern scientist who has discovered a way to enter the afterlife while he is still alive. The second part follows a young boy on a strange continent ruled by different tribes, and the final third features an adventurer in a future utopian society. Structurally, it’s like reading three books in one. Each world is built carefully, with details from language to cultural ceremonies woven in to add an authentic feel. The author’s skill at building these different civilizations allows for an immersive reading experience. While the settings themselves are wonderfully built, I feel they are tied together weakly. The only thing they share is the character Kulkuz, and in two of the three stories, this character appears in name only. This single connection isn’t enough to hold all three stories together for me, especially being set in vastly different time periods. By the end of the final section, readers still know little about her. Most of the story is provided in vast areas of exposition. This style of story-telling makes the plot plateau, and none of the three stories have much of a visible climax. Any time the plot begins to progress naturally, the characters’ internal thoughts will be used to explain a basic story element. The reader isn’t allowed to infer anything on their own, and it makes the narrators come off as condescending. The narrators are also used more as tools to progress the plot rather than their own element. They remain stagnant as characters with little room for personal growth, and instead of the reader getting too know them through their actions, most of them directly state their own personality traits.